This month is an exciting one! We got the chance to chat with Karsten Knight, author of Wildefire. His action-packed book full of gods and goddesses from a variety of cultures comes out on July 26th from Simon & Schuster. In the interview, Karsten tells us all about his fantastic book, what it's like to be an author in the information age, and the long journey he's taken from writing his first story as a kid to becoming a published author. Not only do we have this fabulous interview, but also our signature rockin' music, and don't forget Allison's and Michelle's book picks of the month! This month, we talk about The Other Countess, by Eve Edwards, and Tempest Rising, by Tracy Deebs. Would you like to download this podcast? Click this link for a mp3! 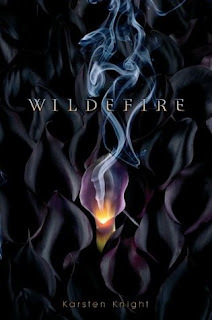 Be sure to keep an eye on the blog because we'll be giving away of a copy of Wildefire soon! Road Trip edition podcast: YOUR input needed! Win a copy of Karsten Knight's Wildefire!